This week on TALK! with AUDREY: My guest is Manhattan Deputy Borough President Rose Pierre-Louis, we discuss the contributions of the Haitian-American community and the work of grass roots organizations helping to rebuild Haiti. She is the first Haitian-American to serve as Deputy Borough President in history of New York City. Ms. Pierre-Louis has been a leading voice, advocate and mobilizing force on issues impacting the Haitian community. In 2009 Ms. Pierre-Louis Co-founded and currently serves as Chairperson of The Haitian Roundtable. 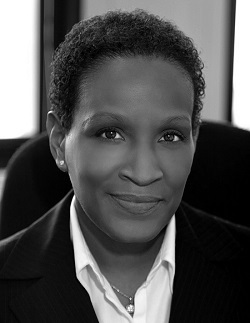 In 2010 following the devastating earthquake in Haiti, Ms. Pierre-Louis was appointed by U.S. Secretary of State Hillary Rodham Clinton to serve on the five-member delegation representing the United States at the United Nations Haiti Donor Pre-Conference in Martinique, West Indies. Background: It’s been two years since a devastating earthquake hit Haiti killing at least 230,000 people leaving more than 1.3 million people homeless. As we all know there is still much to be done. This week TALK! with AUDREY is focused on the efforts, challenges and successes of grassroots organizations, the Haitian American community, relief agencies and others for a picture of Haiti at this 2 year anniversary of the powerful earthquake.